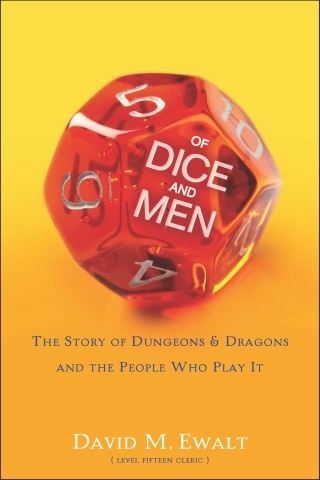 I recently began reading David M. Ewalt’s Of Dice and Men and I just wanted to take some time out to tell everyone about it. It’s not often that I talk books that aren’t of the rule variety on here but it’s been a really good read so far, and so I feel compelled to tell you about it. I especially believe it will be a great read for anyone who isn’t already indoctrinated with D&D / RPG culture. Author David Ewalt is a life-long geek who grew up to be a successful Forbes editor who, after a 10 year hiatus from D&D, has rekindled his love of the game and recanted all of his tales and alot more within this book. Of Dice and Men explores not only the game of Dungeons & Dragons itself, but also the people past, present, and future who make RPG culture possible. He also occasionally gives you a very introspective look at himself and his gaming group, all of this is done on a very human level which has invoked a great array of emotions for me personally. I think as a gamer yourself you’ll find a lot in common with David. He unwraps the layers of mystery surrounding D&D with anecdotal tales, often humorous and lavish, and manages to do it all in a manner that makes you want to keep reading. Although I’m sure any self respecting game will love the book, it’s not exactly aimed at those of us who are looking for deep thoughts on the intricate debates such as “what are hit points” or “how do Mindflayers poop?”. It surely isn’t not a blow by blow retelling of every encounter his character has ever participated in either (though there are some great narrative in-game snippets to spice up and give example to the editorial), so don’t read the book if you’re looking to pick apart initiative order or other granular D&D curiosities. On that note I must say that I find it both funny and sad that he had to preface the book with a chapter entitled “I Am Not A Wizard” just to address cheetoh-fingered gamers who might write him angry letters about his nuance in explaining a game mechanic or some other such piece of minutia no one should care about that much. The book isn’t the definitive history of D&D with tons of insider information and exclusive first time to be read info from the Gygax family or anything like that. Please don’t pick this book up thinking that’s what you’re getting into. Of Dice and Men is definitely aimed at anyone who has ever thought “what is Dungeons & Dragons anyway?”, (perhaps we’ll call them “D&D Curious”) it paints a clear and positive portrait of the games we love so much. I’m so, so glad that a book like this has hit the shelves, I’m really hoping that people pay attention to this book and that hopefully we can cleanse some of the stigma attached to our hobby once and for all. I think that tabletop gaming has hit a bit of a Renaissance period lately and that Of Dice and Men is a perfect complimentary piece of literature to coincide and hoepfully help RPGs re-emerge with some good feelings and honest interest (as opposed to a witch-hunt) attached to them. I know I’m sounding very pie in the sky right now, but we can all can dream, right? I’m not finished with the book yet so I can’t go speaking to every single aspect of the book just yet but what I can tell you is that this year, whether it’s Christmas, a birthday, or any other event that pops up where you have the chance to get a ‘muggle’ (perhaps even a spouse on the precipice of interest?) in your life a gift, why not give them a good read about the games you play and possibly even pique their interest in the process? At the very least you’ll demystify ‘that thing you do every Saturday night‘, right? I’ll keep you posted about whenever I finish the book and all of my final thoughts on it, but for know please know that it’s out there and that it’s definitely worth a read! You can pick it up on Amazon for $12-$16 depending on if you want a digital or dead tree version. 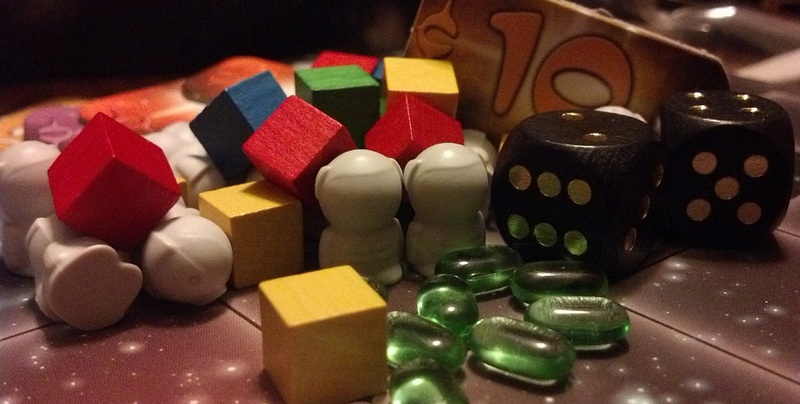 Stay tuned this week for lots of game reviews coming out of Gencon this year! Would love your input on it, if you ever happen to read it. Sure, I’ll add it to my long list of things to check out. Thanks for the suggestion!